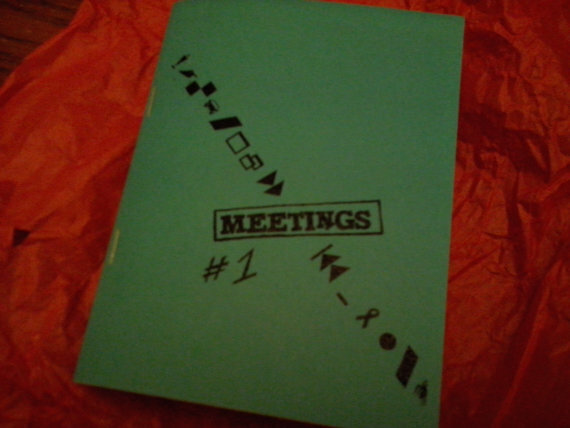 Meetings is a series of zine minis (1/4 size) in which each issue tells the story of how I met 3 of my friends in weird, funny or unusual ways. 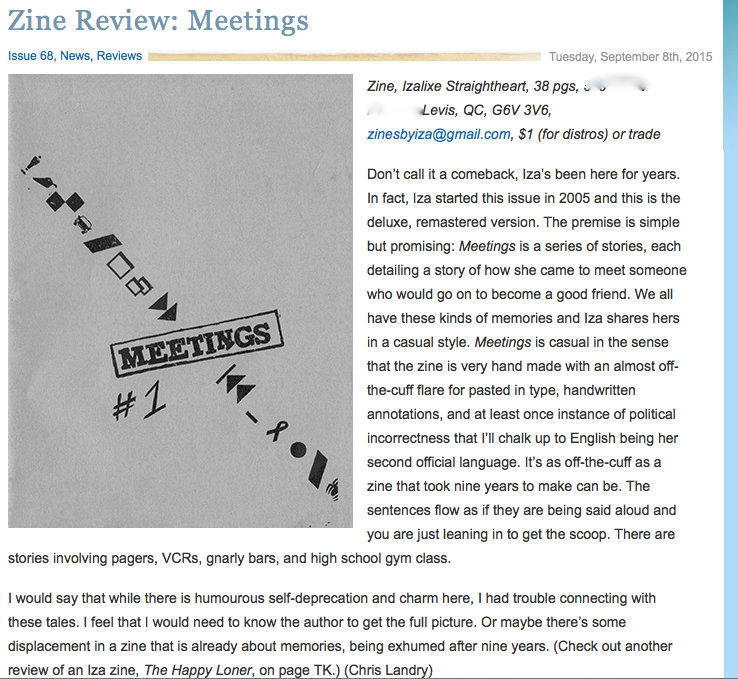 CLICK HERE to get Meetings #1 !! Issue #1 sings the "praises" of phys.ed. in College, tells about a lost pager making strangers come together, & recounts how an audio recording habit had me meet a true character on New Year's Eve ! 40pp, 1/4 size.